Important: This article may arouse emotions including despair. If afflicted with intolerable, chronic pain then I suggest discussing these issues with your support network. 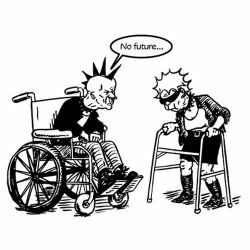 ‘No future’, the anthem for Johnny Rotten/John Lydon fans. Fibromyalgia (FM) pioneer Prof Fred Wolfe looked up the endgame result for 8,000 fibromites and 10,000 osteoarthritis sufferers over a period of up to 35 years. Neither condition showed increased mortality overall, but for those 15 with FM who succumbed to suicide this risk was treble the national average. His report is similar to one in Denmark reporting a six-fold increased risk, and not unlike the outcomes found from tracking registry CFIDS for Chronic Fatigue. Some insights can be found from a survey on symptoms of pain and Quality of Life which shows medical professionals failing to validate their illness to be the major determinant of poor subjective score. Women’s Healthy Aging Project (WHAP) has tracked a cohort of 440 in Melbourne for 25 years to study disease impact on Quality Affected Life-Years. Although musculoskeletal has been included in scope (above the red line), requests for any available research rheumatologist to partake have been unfruitful. Aussie Govt priorities: cancer, heart, neuro, mental, lung, diabetes, injury, and lastly arthritic. Leaving aside the prioritised ranking of #8 (a Dutch burden report puts it up at #1, and cancer as #8), this is remarkable since Monash homes the Cochrane evidence base for musculoskeletal. Their collation of clinical guidelines by 700 active health care professionals, researchers and consumer representatives is a task shared with Ottawa, however the Canadian Govt recently pulled funding to Tugwell’s team. Although this group claims to be inclusive of FM, there’s no reviews of treatment efficacy published. Those are instead posted on the Pain, Palliative, and Supportive Care (PaPaS) group site, where 16 interventions are evaluated. Repeat – there’s no consideration given to treating FM syndrome, but focus is wholly upon symptomatic pain relief. In perpetuity, which makes the FM meds market rather attractive and trial sponsorship good business sense. A challenge was issued to PaPaS editorial manager Prof Andrew Moore re the inclusion of a Pfizer employee, Dawn Carroll, in a 2009 ‘independent’ review of Pfizer products Lyrica and Neurontin (considered as helpful: “For gabapentin and pregabalin only we found reasonably good second tier evidence for efficacy” in the latest version). His reply was thoughtful and extensive, particularly in regard to their recent policy decision to segregate FM from neuropathic pain. This decision isolating distinct conditions is at odds with our TGA & PBS approvals for Lyrica/pregabalin for neuralgia but not FM – despite being the most commonly prescribed treatment. Further insanity is shown in the single approved med for FM, the SNRI (anti-depressant) milnacipran not actually being distributed in Australia. But I can’t help but be troubled by their letter to the BMJ dismissing Dr Des Spence’s criticism of Cymbalta (and he’s someone who’s also skeptical of Lyrica’s benefit). Prof Moore reveals that he’s paid as a consultant by Eli-Lilly, the manufacturer of Cymbalta. Examination of publications reveals that Robert A Moore is the same person – the moniker varies depending on whether writing as an independent or apologist for a drug company. Hope comes from bold rheumatologists who offer scrip for Disease Modifying Anti-Rheumatic Drugs in FM, and patient communities who share their experiences. Over 100,000 fibromite subscribers to one site donate their data in hopes of cure or remission. 1.6% are on a DMARD (including the aggressive biological agents). 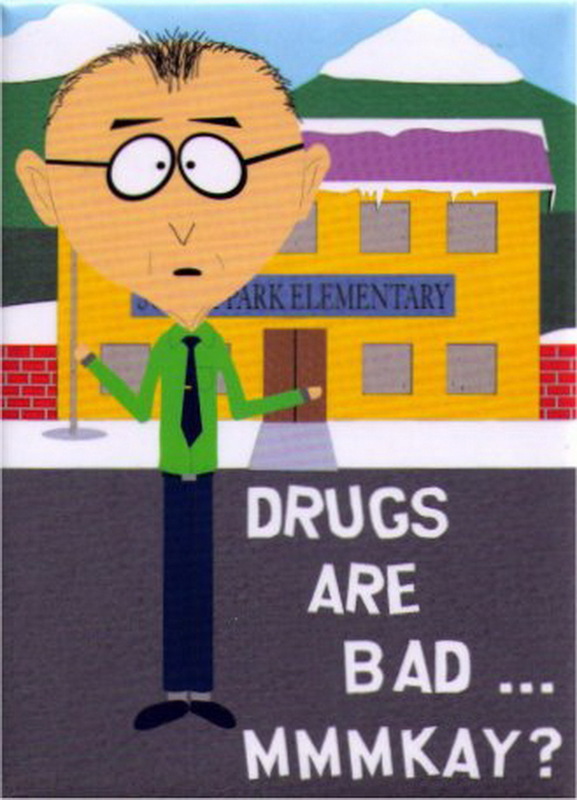 There’s no formal trials ever run on these drugs suitability, this is instead totally circumventing a broken system. For other solutions, see here. The butterfly emblem is frequently chosen by carefree souls, which suits my care-less persona also! 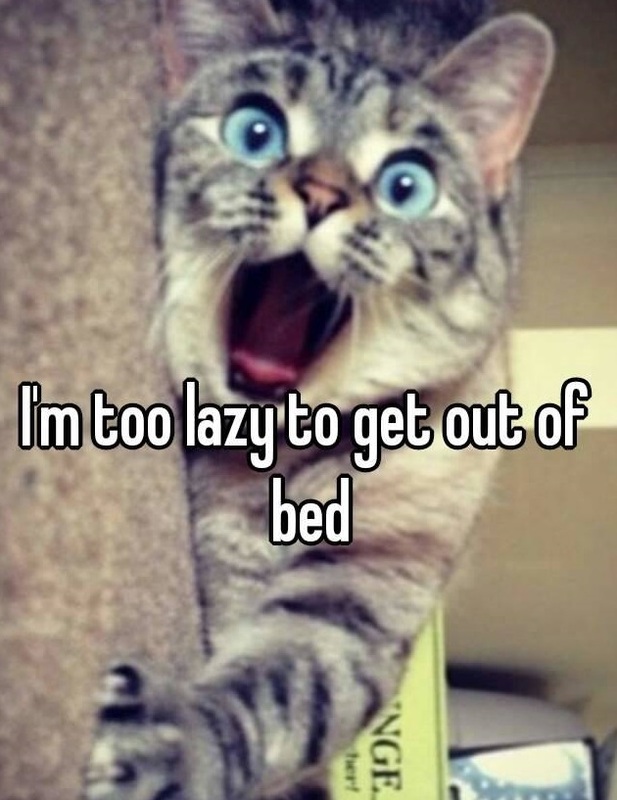 My attention has flitted to continued controversy over two chronic pain studies – PACE for chronic fatigue, and Auckland University’s Stroke and Applied Neurosciences report: ‘Daytime napping associated with increased symptom severity in fibromyalgia syndrome’. Blogs and commentaries frequently generate traffic by highlighting controversy (but not mine, of course). Digging out the truth is easier by discarding any opinionated article which doesn’t link the original study for scrutiny, since both were published in open publicly accessible forums. If it matters, it’s usually in PublicLibraryofScience or the like. If hidden behind the commercial barrier of a medical journal, then it was probably just an extension of Pfarma’s marketing (if the statement by past editor of the unimpeachable British Medical Journal is to be believed). The late, great Dr Dave Sackett tickled my humours with his Clinical Trial Organisation HARLOT (How to Achieve positive Results without actually Lying to Overcome the Truth). Linked study PACE was of very high quality. UK govt sponsored and large enough to be powerfully conclusive, it randomised sufferers from chronic fatigue into four arms:- standard medical care alone, or in combination with either of Cognitive-Based Therapy (CBT), Graded Exercise Therapy (GET), or Adaptive Pacing Therapy (APT). The outcome published in The Lancet in 2011 showed improvements in fatigue and physical functioning scores for CBT and GET, but not APT. An outraged patient community expressed alarm that doctors would prescribe exercise to reverse lack of physical condition resulting from illness. A planned followup investigation this year re-ignited the furore, explaining that CBT and GET mediate changed belief and citing a Belgian study “…the role of beliefs in chronic fatigue syndrome and fibromyalgia, which suggested that fear and avoidance of movement were associated with poorer outcomes.” Criticisms include the PACE protocol’s broad inclusion criteria, that their participant’s syndrome wasn’t real CFS are quite ironic given the difficulties experienced by anyone seeking validation for their own sero-negative invisible illness. Emotive catastrophisation reflects the shame felt at being stricken to bed – when the reality uncovered by another Belgian team is that CFS suffferers were hitherto over-achievers. This study isn’t published for the public, but I’m grateful for someone breaching Elsevier© copyright. It also seems free from bias. Onto psychologist Alice Theadom and her survey. The implication is of causality between resting up and worsening symptoms, under the heading of Results: “Daytime napping was significantly associated with increased pain, depression, anxiety, fatigue, memory difficulties and sleep problems.” Worsened relationship with one’s boss too, I’d reckon. If the order of words was changed, one would presume that fibromites suffering worsened symptoms take more naps. But in each presentation of facts uncovered, the order is naps -> bad outcome. Briefly consider the impact to sleep, and the difference reported by nappers being an average of 17 minutes less each night. Mmm ‘kay. When strong pain hits, hit the couch and make up for that lost quarter hour. Incidentally, table 4 shows that the use of opioids is as strong a predictor of likelihood to nap as is gender. That one’s overlooked in the text, and close behind come gabapentin and pregabalin for sending you to sleep. The mindfulness teachings of Jon Kabat-Zinn in his book ‘Full Catastrophe Living’ aren’t new. Among palliative counselor Stephen Levine’s books is ‘A Year To Live’, wherein he advises living each day as if it’s your last. If it’s not too late to learn to breathe for the dying (drawing upon his work with Elizabeth Kübler-Ross), then offering to the healthy a soft-belly breathing meditation is all the more valuable. This idea recognises that grief, and tension are held in a guarded, rigid stomach. A simple check is to place a hand on your belly, and the other on the lower half of your chest. Looking down, inhale deeply through your nose. If the hands move apart, you’re a stomach breather … and the studies show, probably male. Our two choices for getting air in are rarely explained, but the implications of a tight tummy are that the diaphragm muscle can’t flatten down. 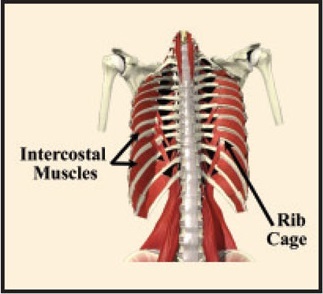 This means a chest heave is required, to expand the lung cavity by lifting the ribs outwards. These muscles work against the cartilage joining the ribs to your sternum, flexing that which has become harder with aging. Voice teacher and opera singer Dominique Oyston suggests that women generally conform to societal expectations of first, a flat tummy, and second, having a petite voice that’s raised in pitch. This means pinching off your breath, instead of letting your voice boom out from deeper down (which scares off men who’re insecure about their masculinity!). The acute pain of early stages of childbirth is countered by conscious, patterned breathing in antenatal classes. A clinical trial for those suffering the archetypal pain caused by fibromyalgia (Zautra and Davis et al) reported in Pain 2010 that slower, deeper breathing reduced pain intensity due to external stimuli, suggesting in explanation an enhanced parasympathetic nervous system tone – overcoming fight/flight of the sympathetic response. Much like medicating is not just a matter of forcing up hormone or neurotransmitter level, better breathing is not a simple matter of getting more oxygen through to tissues. A trial of 40 sessions in a diver’s hyperbaric chamber to allow normally toxic 100% oxygen delivery as treatment for fibromyalgia used SPECT imaging to determine areas of the brain where activity was changed by the therapy. The magenta section is the Anterior Cingulate cortex (ACC), previously showing less activity than is considered normal, had become enhanced after the 8 week course. 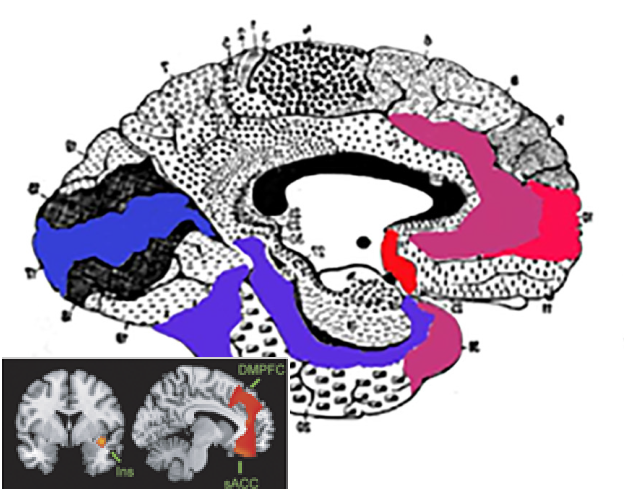 This is the area where emotions lead to regulation of heartrate and registering pain (the greatest improvement was in the Brodmann Area 24, for those into neural mapping). The authors concluded the therapy induced neuroplasticity, proposing the effect as due to suppressed glial auto-immune response reducing neuroinflammation. The oxygen overdose’s reasoning can be described as triggering anti-oxidant pathways. Delivered by way of a more practical channel, EEGs after an 8 week Breathworks mindfulness course showed changes in the same ACC as pictured in the inset, increasing activity before administration of a painful stimuli. The ability to prepare oneself for suffering isn’t an easy skill to grasp. The course’s first task focuses meditation on a single point, observing one’s breathing.This interoception of bodily sensation is processed by spindle neurons, a type restricted to only two brain regions – the cognitive-emotional area of the insular cortex and the ACC. Lessons progress onto body scans, creating patterns associating feelings and senses, so as to effect mindful recollection for self-control (as discussed previously). Handling pain better doesn’t make the pain go, straight away. However these regions interface to the endocrine system, and the hypothalamus-pituitary-adrenal (HPA axis) glands release old friends adrenalin, cortisol, and immune system regulator prolactin. If big changes need to be made, it’s best to start at the top – instead of swallowing chemicals in the hope of a quicker fix. Lyrica/pregabalin continued…… Integrity of research is maintained under an accord struck with journal publishers, whereby trial results will only ever be reported if the goal is declared upfront when the study is registered with a govt agency. This ensures inconclusive or negative results aren’t hidden in secrecy, and thus trial NCT00333866 in 2009 is open to scrutiny – a sponsor’s restrictive agreement on investigators publishing or discussing trial results notwithstanding. Under the leadership of Lynne Pauer (a Pfizer Director) 73 facilities worldwide randomly allocated fibro patients to either placebo control or else one of three dosages of pregabalin. 30% dropped out over the 14 weeks, and only the 450mg dosage yielded a statistically significant result in efficacy for pain. Paracetamol was allowed as a rescue therapy, surprisingly the amount needed for pain relief increased with higher dosages of pregabalin. Data from this and other trials was analysed by Oxford University who determined the Number Needed to Treat at 450mg to obtain one person benefiting by a moderate 30% reduction in pain intensity was eleven. On the other hand, worsening side-effects with increased dosage led a rheumy with a sense of humour to plot the Schwindel. Pfizer has a patent thru’ to Dec 2018 on Lyrica however, and if all you have is a hammer then everything looks like a nail. American audiences are aware of their ad campaign which follows the “Here’s your answer, regardless of your problem” school of thought. Diabetic neuropathy? The ads announce “No worries”, although others are concerned about suicidality. And NonSignificant result study at 300mg dosing shows it’s every bit as good as placebo in reducing pain. Writing in the Medical Journal of Aust this year, rheumatologist Prof Rachelle Buchbinder complains that NationalHealth&MedicalResearchCouncil “funding is disproportionally low compared with the burden of these (musculoskeletal) conditions”. Her co-author Prof Chris Maher should impress then, in obtaining a $618,590 NHMRC grant for the PRECISE study trialing pregabalin as a treatment for sciatica. Coincidentally, The Age newspaper published on 24th July their promotional article against standard care claiming that: “This month the prestigious NEJM published a paper reporting that steroid injections are no more effective than a sham …”, but if you read Friedly and Jarvik et al’s report the placebo was lidocaine. Yeah right, an anaesthetic is a sham control! Experts condemned the trial, writing: “This critical assessment shows that this study suffers from a challenging design, was premised on the exclusion of available high-quality literature, and had inadequate duration of follow-up for an interventional technique with poor assessment criteria and reporting.” Discouraging guided lumbar injections is pleasing to a Govt cutting health funding in 2015, since imaging is expensive. Pills can keep the pain at bay. PRECISE trial protocol cites Pfizer’s Dr Zahava Gabriel on the cost-effectiveness for pregabalin, who previously participated in a team providing supposedly independent evidence with ‘A Systematic Review and Mixed Treatment Comparison of the Efficacy of Pharmacological Treatments for Fibromyalgia’ – whose conclusion “confirms the therapeutic efficacy of pregabalin”. The NHMRC’s funding submission includes the justification: “Currently there is limited, direct, high quality research to inform the use of pregabalin in the treatment of people with sciatica. A small prospective randomised trial of patients with chronic low back pain (n = 36), which included some patients with sciatica, suggested that pregabalin may produce a statistically significant reduction in back pain in the short term”. The cited pilot study by Romano & Mineo et al wasn’t placebo controlled – patients being allocated to consecutive periods on either pregabalin, an NSAID celecoxib, or both. The least improvement was shown by the pregabalin only group, so surely Maher’s colleague Prof Ric O’Day would endorse additional celecoxib therapy (especially after having served on Pfizer’s advisory committee)? Unless coming off-patent next year resulted in a commercial decision to dump Celebrex? A supposed risk of cox-2 inhibitors cardiovascular disease hasn’t been investigated, which makes Pfizer’s March 2014 contest against generic manufacturers in Court appear financially risky (tho’ rash judgements are rather clouded by memories of Vioxx corruption! 2015 update here suggests that 200mg is a safe dosage). Money appears to be not a factor in NHMRC deliberations, otherwise $4.6bn in sales of Lyrica last year would have deemed that Pfizer themselves can reinvest to break a new market with backpain. Hopefully they’ll read other New England Jnl of Medicine articles before gifting in future. Regulatory compliance appears to have been taken to an all-time low within health research ….. obedience to industry! It also shows how hit and miss medicine is based on commerce rather than science – pregabalin having been developed as an anticonvulsant for epilepsy echoes Pfizer’s subsidiary Searle re-purposing of misoprostol (declared protective against ulcers by Dr Fred Silverstein & co) for inducing labour. A $70m birth injury litigation set a record, and spawned an industry for lawyers suing hospitals for off-label use of mistoprostol. Listening is a fastrack to learning. Time spent with arthritis sufferers in Moree thermal pools informed me of the benefits of medicinal marijuana after hearing how an elderly couple inadvertently spent too long in a pungent smoke filled café at Nimbin. Indeed, the largest number of reviewers at fibromyalgia-reviews.com cast an overwhelmingly endorsing vote for the weed. The side-effects preclude living a normal life, however reality has always been overrated and opt-out for many. Winfried Häuser led an investigation into evidence-based interdisciplinary guidelines across Germany, Israel and Canada but cautiously advised undertaking research by clinical trial of cannabinoids before addressing licensing. Mineral springs or balneotherapy were recommended though, an idea which was extended by researchers at the University of Pisa who compared the short-lived relief of a thermal treatment with the enduring benefit of a mudbath, in the journal of Clinical and Experimental Rheumatology. Bazzichi and Lucacchini et al didn’t rely on subjective opinion of symptoms, rather going so far as to apply salivary protein analysis to differentiate an improved therapy. 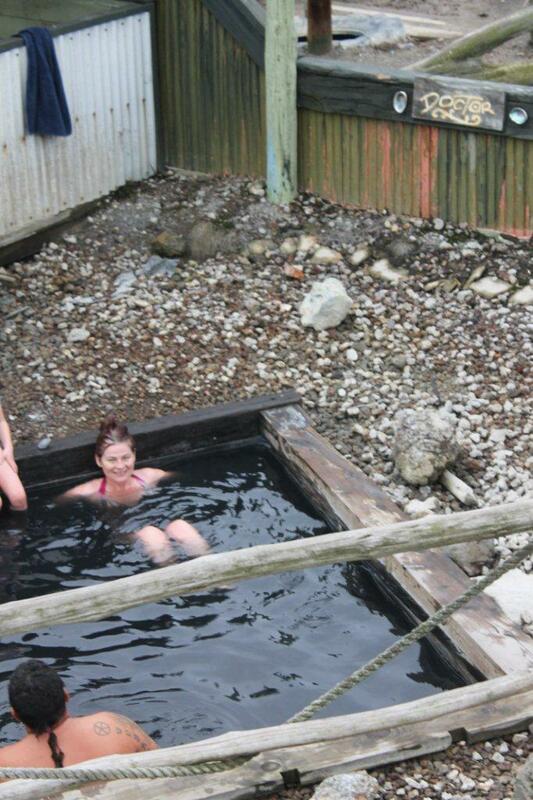 Justification enough for a trip to the murky sulphurous pools of Ngawha in New Zealand – their ‘Doctor’ being pictured. Not only have this team listened to their patients’ stories, but they’re cognizant of expert skepticism and the demands of evidence base. To no avail unfortunately, since founder of the Arthritis Research Centre Prof Fred Wolfe in his fmperplex.com blog derides the study as about as useful as a Chianti/Riesling comparison… “Really! Does anyone really think that mud baths are a truly useful therapy for FM? What also caught my eye was all of the ‘sophisticated’ and expensive tests that were done and what it all costs.” A cost benefit analysis requires a crystal ball for evaluating future returns from the pioneering work in proteomic salivary analysis. Thus far it’s proven useful in distinguishing Sjogren’s syndrome from other sicca syndromes such as presented by fibromites. Relief from this discomfort of dry mouth compounded by the nuisance of a runny nose (non-allergic rhinitis) is one of the attractions of guaifenesin as a treatment, besides its neurological effects. Again lampooned on fmperplex as “Quackery”, but another unfortunate discard of babe with the dirty bathing water. Arif Donmez and team from Istanbul Dept of Medical Ecology concede that their clinical trial of a balneotherapy course, showing a diminishing improvement during 9 months of followup may have been influenced by residual benefit of a break from the daily grind. Pain was objectively measured by inflicting it with a dolorimeter however, which would have erased pleasant memories! Ouch!! Fibromyalgia appears destined to remain the elephant in the room if this month’s Rheumatology edition of Australian Family Physician is anything to go by – not a mention of it. So what do healthcare specialists offer? In 2006 Drs Littlejohn and Guymer published, through their work as Monash Director of Rheumatology and trainee respectively “Fibromyalgia Syndrome: Which Antidepressant Drug Should We Choose”. Linking their Medical Centre with the University seems a worthy approach so as to redress physician misconceptions – indeed, shortly thereafter the Journal of Clinical Rheumatology published a survey of Southeast Asian rheumatologists. 87% of them believed fibromyalgia incorporated aspects of psychological illness and only 40% of those associated with an institution reported inclusion of FM in their undergraduate training. Dr Littlejohn then contributed to the 2009 yearlong study on effectiveness of duloxetine/Cymbalta led by Eli-Lilly employee Amy Chappell, which was discredited by exclusion on quality grounds from the independent Cochrane musculoskeletal group’s systematic review of studies on SNRIs . Their supposedly * impartial conclusion drawing upon another five, unbiased assessments was that 10% more people reported significantly reduced pain with duloxetine than those duped by a placebo, however another 9% discontinued treatment due to side-effects. Withdrawal in itself is harmful, the US FDA has published a safety advisory for Cymbalta Discontinuance Syndrome. Agreements posted in 32,000 blogs are somewhat alarming! Any benefits obtained are ‘figure-atively’ outweighed by weightgain reducing propensity to exercise, consensus being that moderate exercise is beneficial for fibro. 2009 was a bad year for pharma. Eli-Lilly pleaded guilty to illegal marketing of anti-psychotic drug Zalprexa for off-label use, and was fined $1.4bn. A recent out-of-court settlement was made with the family of a boy who suicided whilst on Cymbalta, whose claim being that another suicide during drug trials should have prompted warnings. And Pfizer paid a record $2.3bn for fraudulent marketing of painkillers, including Lyrica. Nonetheless these two medications remain highly profitable with an estimated $18bn in sales in 2012…. which trivialises the settlement for $43m with US attorneys generals that year for once again marketing Lyrica other than for an approved purpose. With such monetary power, when federal NHMRC funding was approved for only 17% of applications for 2014 is it any wonder that Littlejohn and Guymer are reliant on consultancy fees paid by Eli-Lilly and Pfizer declared (inconsistently*) under their conflicts of interest? “The medical profession—in the US, Europe, and beyond—remains heavily reliant on industry funded continual medical education, and many doctors have accepted substantial hospitality and consultancy fees. Very few have been prosecuted. Disclosure remains patchy and inconsistent. Yet it is their decisions that ultimately determine if medicines are reaching patients for whom they are not suitable. If drug companies need to change their attitude, so do prescribers“. Andrew Jack, Financial Times correspondent writing in the BMJ July 2012. Evidence update: Two books elaborate these concerns from a practitioner’s perspective. Dr Ben Goldacre’s ‘Bad Pharma’ and leader of the Nordic Cochrane Centre, Prof Peter Gøtzsche’s ‘Deadly Medicines and Organised Crime: How Big Pharma Has Corrupted Healthcare’. Peter’s alarmist chapter title: ‘Very few patients benefit from the drugs they take’ explains that “… apart from such scientific misconduct, insufficient blinding can also make us believe that ineffective drugs are effective.” In damning the exalted gold-standard comparison – the randomised control trial, he warns of assessor bias if they’re aware to whom they gave placebo. To give weight to this claim that doctors lie, his colleague Asbjørn Hróbjartsson is cited … the effect was exaggerated by 36% when evaluated by nonblinded observers. Wow, this Cochrane review ‘Observer bias in randomised clinical trials with binary outcomes: systematic review of trials with both blinded and non-blinded outcome assessors.’ needs a read. Ooops, the title omits the keyword ‘subjective’, and 71% of the studies were surgery or the like. 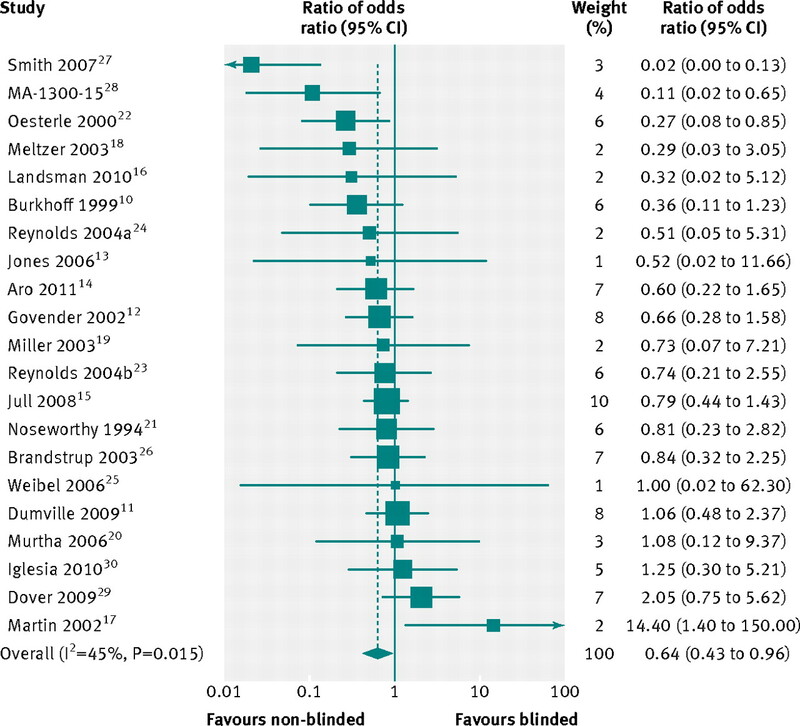 Figure 1 meta-analysis shows that two weighty transmyocardial laser revascularisation outcome reports by Oesterle et al and Burkhoff et al dragged the conclusion from one of no significant difference to a non-blinded bias Odds Ratio of 0.64! So, if you ask F.I.G.J.A.M. whether they THINK the patient’s angina has improved recently, there’s a leaning towards affirmation if they’re aware that surgery has been done? Cardiologists genuinely believing that their interventions are beneficial can hardly be extrapolated to mandating that all trials must be blinded in order to avoid falsification of data, but that’s what’s happened. Peter’s Mentalaz speaking tour claimed that all anti-depressants were ineffective – arguing that severe side-effects results in unblinding. And the effect size was typically <36%, whereby he proves all benefit of the med resulted from bias! And these are the watchdogs? When Cochrane’s doctors stretch the truth about the 36% shift in truth by other research doctors, they’re all damned. Cochrane pioneers Gotzsche and Chalmers are much alike in their evidence fudging. The Handbook warns that sneaky research doctors will try to break the blind and fudge the facts. The last para of ‘Rationale for concern about bias’ cites a study by Schultz, Altman, and Sir Iain Chalmers et al in Feb 1995 JAMA. Just one review, covering studies particular to pregnancy & childbirth actually contradicts their own argument: “Trials with inadequate sequence generation yielded estimates of treatment effects that were similar to those derived from trials with adequate sequence generation, after adjusting for the other three methodological dimensions”. But on pg410 a subgroup analysis limited to those trials reporting adequate allocate concealment only managed to find a statistically insignificant p=0.07 (ie close, but no cigar) exaggeration in effect size as a result of poor sequence generation. This cracks me up. That’s a negative outcome elsewhere than the Cochrane Collaboration, and it relied upon data dredging to obtain a semi-significant conclusion. 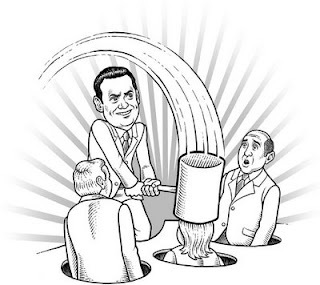 But it underpins one of their criteria for downgrade of all studies – sanctimonious dogma used thereafter in box-ticking exercises, which actually detracts from quality analysis of evidence trustworthiness. This recalls the classical Ouroboros, the snake eating itself – as a symbol of perpetuation. “ And I think my head is burning, & in a way I’m yearning, to be done with all this measuring of proof…“ Dr Nick Cave sums it up well. For want of a diagnostic test for fibromyalgia, the malaise is investigated by a process of elimination. This takes years, and an average of 3.7 doctors shopped (since the majority consider their training inadequate for the purposes of diagnosis : Perrot & Choy, 2012). Sponsored studies paint the illusion of progress towards a solution. Announcements of conclusions are promoted in the media with ‘Breakthrough’ in the headline, yet FM remains a syndrome of unknown causality. The diagnostic criteria of the 1990 American College of Rheumatologists for specified points of pain was loosened somewhat in 2010, and cynics point to the opportunity thus afforded for a greater market. With no prospects for a cure, palliative medications represent a secure financial investment for pharma with each and every case. Buffington and Hackshaw et al described in the august journal (Aug 2013) of the Royal Society of Chemistry a promising analysis for catabolites in blood, explaining “Because accurate FM diagnosis is so crucial for improved patient outcomes, reliable disease markers are urgently needed.” Unfortunately, in excluding fibromyalgia from the Flinders University immunological bloods bank that opportunity for investigations is closed. Prof Roberts-Thomson justifies the selectivity on the grounds of funding. So let’s look at the business case. If Australian prevalence is assumed typical at 3% (let’s ignore the advice by the Mayo clinic that diagnosed patients are only the ¼ tip of an iceberg) there’s 0.6 million sufferers here. Dr Guymer surveyed Monash outpatients to find 41% were on disability due to FM, and if we take the income protection lower limit of $3000/month as a minimum loss in productivity then $20m per day is an extremely conservative estimate of the cost to this nation. That’s a lot of research dollars. Looking in the wrong places is condemned as unethical waste of resource by Sir Iain Chalmers, knighted for services to medical ethics : “The pharmaceutical industry, for example, does research for its primary need – to fulfill its overriding responsibility to shareholders to make a profit…… Yet only rarely in recent decades has this commercially targeted approach led to important new treatments, even for ‘mass market’ disorders. Rather, within groups of drugs, industry has usually produced many very similar compounds – so-called ‘me-too’ drugs.” His book Testing Treatments is readily accessible, in its entirety. Quite a clever illusion being created by the healthcare industry, which really doesn’t seem to be up to the challenge.